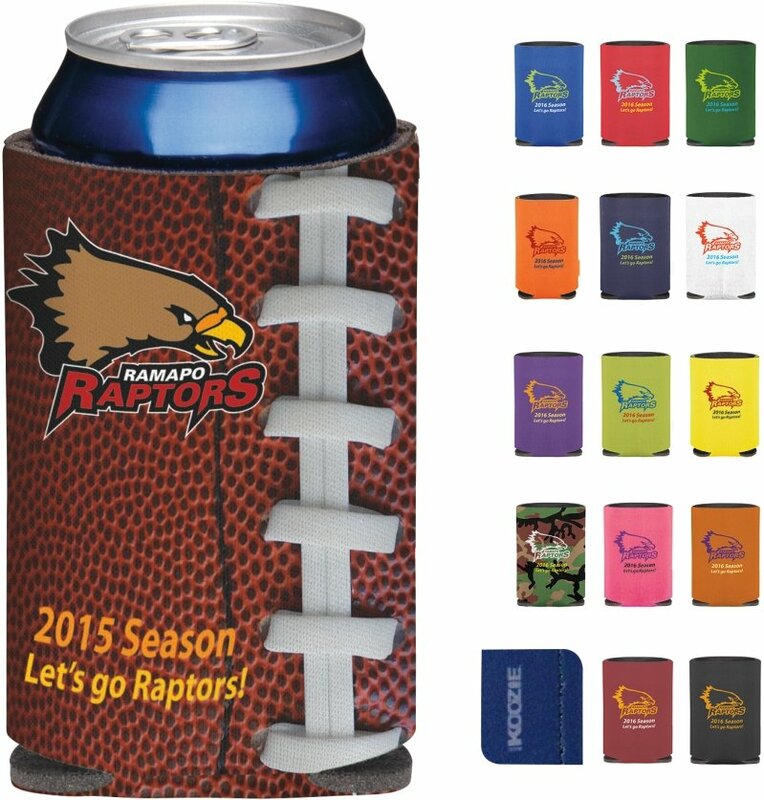 Get your logo printed, Full Color Promotional Koozies Can Coolers. Useful for company trade shows and your promotional products. Apps include brand name association marketing - advertising. Features polyester exterior with Dark Gray foam insulation. Overall size is 5 1/4 h x 3 7/8 diameter. 21 Koozie colors. Normal delivery from date of an order is 2 to 3 weeks. Price includes up to a full color imprint on the two sides 3" w x 3" h.
Price includes up to a full color imprint on the bottom 2" diameter. Download the artwork template for full bleed all over imprint. Factory setup charge is $55.00. Four color process print. Logo does require an Illustrator ai, eps or pdf art file.